She’s one of the best! Donna Thompson gets our first yellowtail of the season putting the wood to two nice yellowtail off Cerralvo Island with live bait. 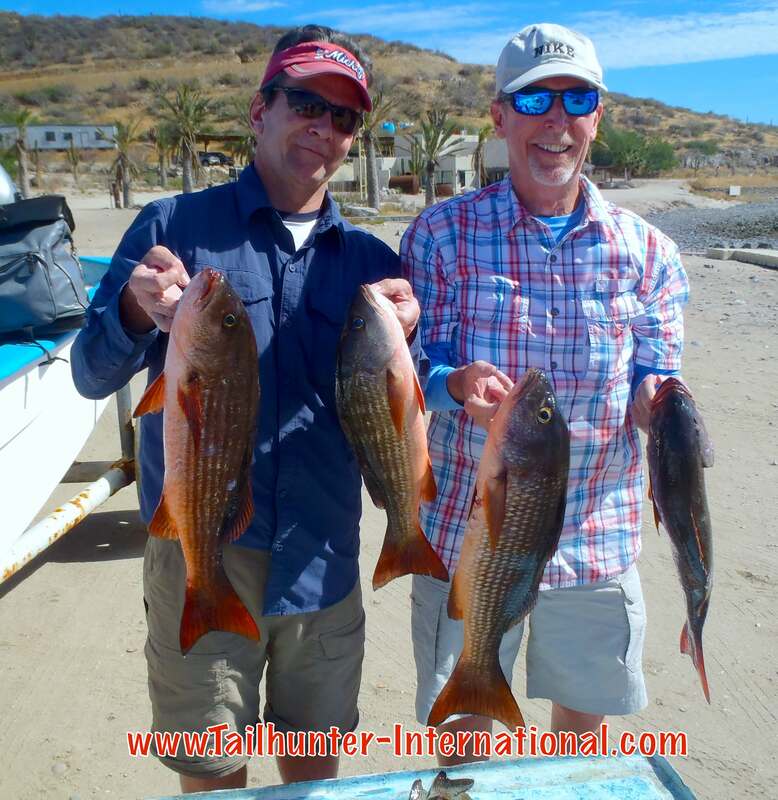 Two more of our super amigos…from Bakersfield, California…Ken Gragg and Carl Lange put a handful of pargo and a cabrila in the boat fishing just outside of Bahia de los Muertos. These are tough fish to pull out’ve the rocks! Captain Jorge and Richard Branson from Virgin Airlines? Nope…it’s our amigo, Rick Kasper who actually has been a double for Branson, but as an actor and host of his own outdoor TV show has also been a double for Gary Bussey. He’s also a fun fisherman! He’s showing off a dorado and a sierra here although they let a few get away! YELLOWTAIL AND PARGO MAKE A SHOWING…SO DOES DRIZZLE AND RAIN! The week started on some real high notes. Not only did we have some really fishing-condusive weather, but the fish decided to join in as well. However, as the week progressed, by the end of the week, not only did winter winds return, but we also got the surprise of rain which dampened things a bit. Fortunately, being the off-season, we didn’t have to cancel anyone’s fishing trips as they weren’t many folks fishing this week anyway. However, let’s talk about fishing. The best news is that we finally got into yellowtail. The big fork tail jacks really laid low last year when El Nino conditions warmed the waters and made bait and the big fish a rarity. However, this week we took some nice quality-grade yellows around Cerralvo Island near the high spots both north and south ends with bait and iron with fish going 20-30 pounds. Some hefty hamachi! Hopefully, this is just the start of things to come. 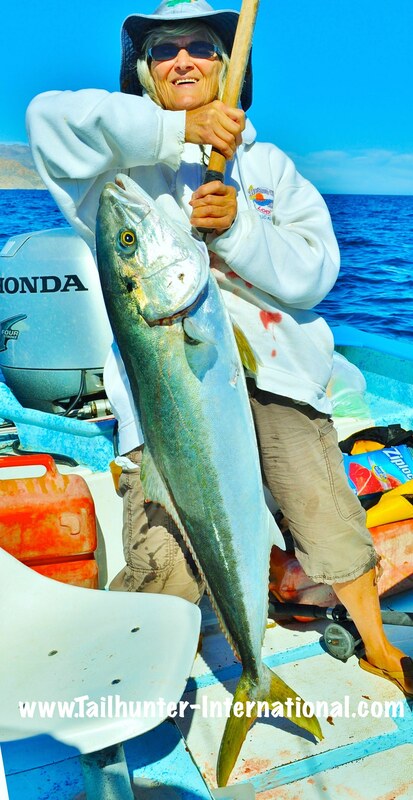 The yellowtail require the cooler waters and normally, we don’t see many until about February or March. They stick around until about May when the waters start warming and we see the warm water species like dorado, billfish and wahoo move in. We barely had any yellowtail to speak of at all last year. We’re hopeful that the yellowtail we saw this week are the vanguard of a nice yellowtail season. Another fish we really didn’t see last year were the pargo…the big snapper that come up in the springtime just like the yellowtail. These big red/ copper fish are powerful and in the spring come into the shallows to spawn. One of the most vicious fish to tangle with and a real frustrating game fish to put in the boat because of their power and the rock cover they love, we got a few of those this week as well. Most of the big ones get lost because they’re just rugged sluggers, but early in the week some 3-8 pounders came up (a good sized one is 15…a brute is 40!) so, like the yellowtail maybe this year we’ll get them back. In addition to the yellowtail and the pargo, there were some dorado and sierra taken plus cabrilla. Then, the wind came back up again from the north and as the weekend approached, skies got cloudy and a few days of rain hit us. As I’m writing this, we’re still looking at rain then it will let up next week and the forecast calls for some rain late in the week again as the month ends. 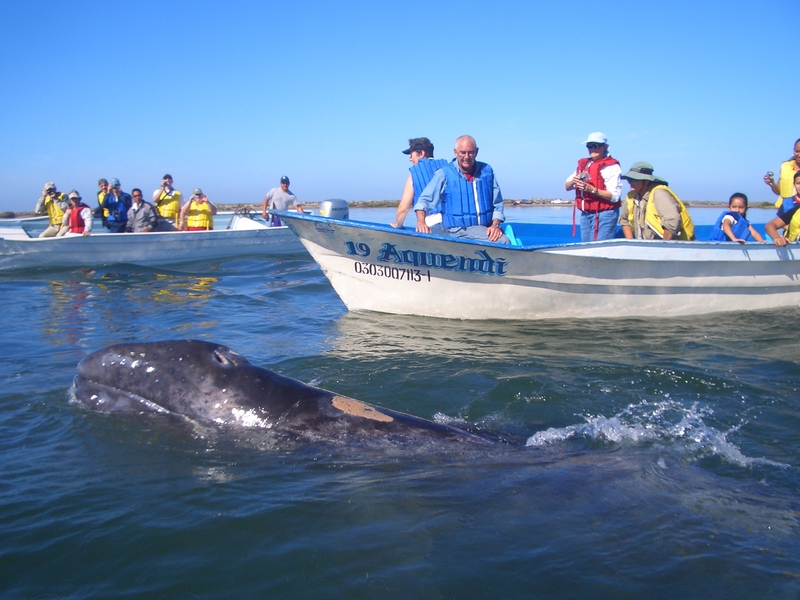 If you want to really do one of those “once-in-a-lifetime” things or check something off your “bucket list” our Bahia Magdalena Whale Watching is in full swing. The grey whales have come down from the Bering Sea in the longest migration of any animal on the planet. They showed up a bit early this year and we’re running daily trips to see them. They usually stay around until about mid-March and the bay is where they come to mate, give birth and basically hang out in the warm calm waters where we can get up close to them in their natural environment. If you’d like details get in touch with us at riplipboy@tailhunter-international.com or give us a call at 626-638-3383. 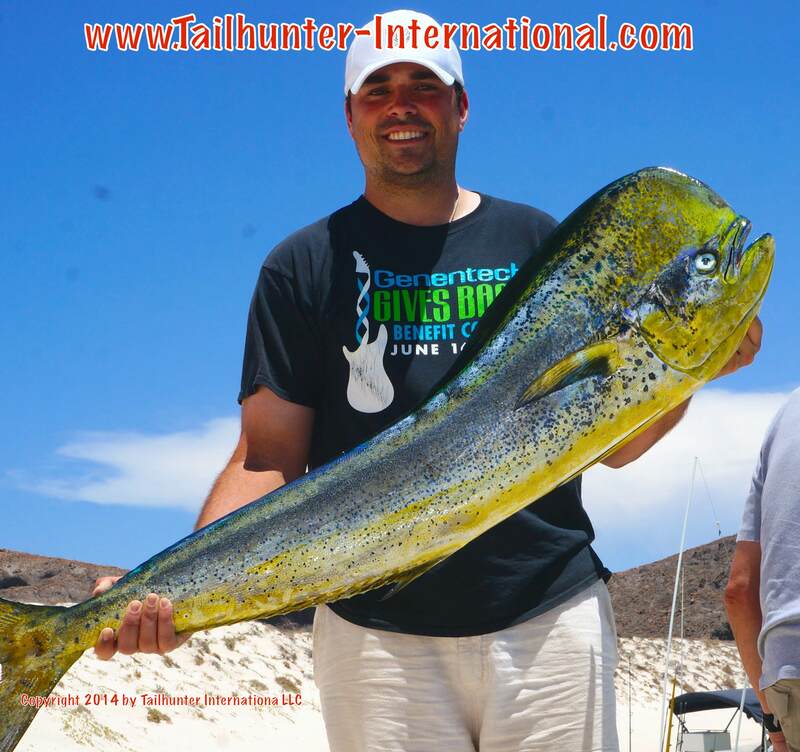 We still have a few spots for our 2015 Tailhunter International / Western Outdoor News Panga Slam. With 3 days of fishing…a snorkel day party on the island…several fun dinners…a fishing jackpot and much more, this is one of the highlights of our season! We’re limiting it to only 24 spots and there’s just a few spots still left. We’ve love to have you join us! Write us at riplipboy@tailhunter-international.com for all the details! THANKS WASHINGTON! NOW ONTO PORTLAND SPORTSMANS SHOW! 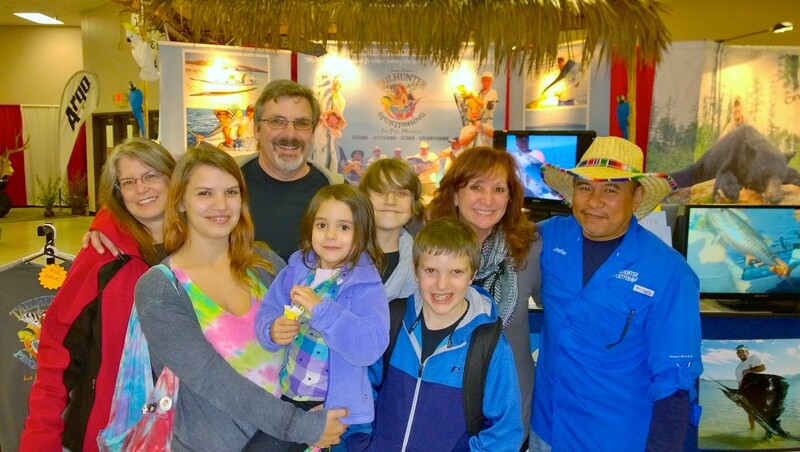 Our good friends, Dave Rose and his family dropped in to say hi and pose for a quick shot. Great family and they’ve visited us a number of times in La Paz. Great to see them. Jilly working the counter at our booth at the Puyallup Fairgrounds in Washington. 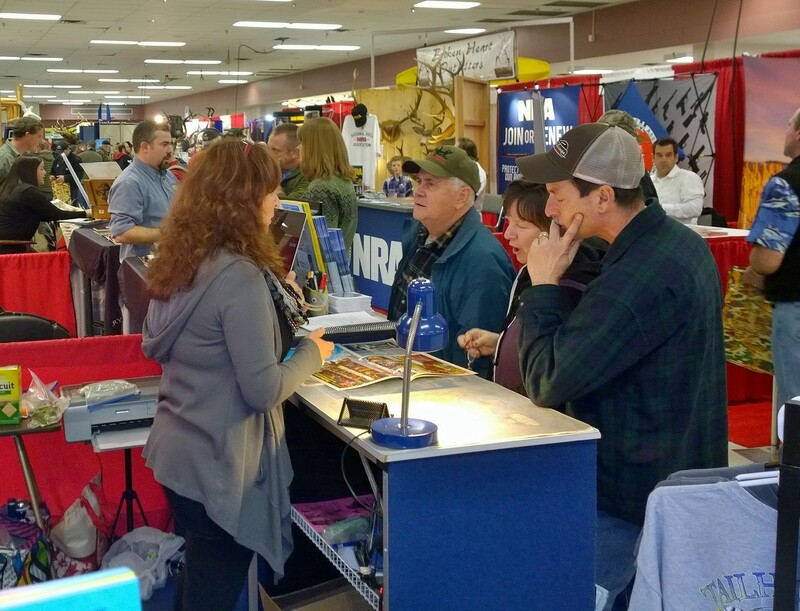 Just a shout-out thank you to all our amigos who came to visit us at the Washington Sportsmans Show at the Seattle Fairgrounds in Puyallup, Washington. After shows in Sacramento and Denver and about 3,000 miles of driving, this was our third show of the year and it was a great time. 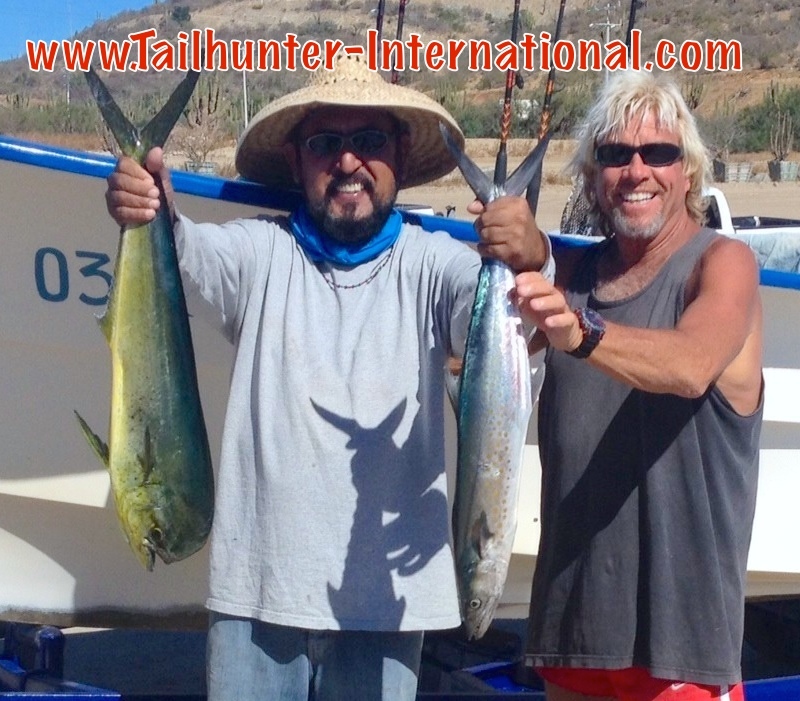 We saw so many of our friends and signed up lots of amigos for their 2015 fishing trips with Tailhunters in 2015. We now have a few days to catch up and re-group then hit our next show in Portland at the Portland Expo Center from Feb. 4th to 8th. If you’re in the Portland area, come see us and talk to us about fishing in La Paz! We’ll see you there.